Drumming instructor Sean Van Riper will be bringing his popular, drop-in drum circle to Camp Kiwanee this fall! 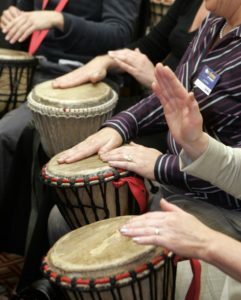 The group will begin each session with a musical warm up and some drumming instruction. Then the group will huddle together (often times around a fire) for a collaborative, free-form musical adventure! Camp Kiwanee Clean Up Day! Saturday, April 27th. Please join us on Saturday, April 27th for Camp Kiwanee Clean Up Day from 9am to 12pm. Our annual day of cleanup to get ready for the seasonal opening of Camp Kiwanee. Bring a rake and a broom if you can, we will have the rest! 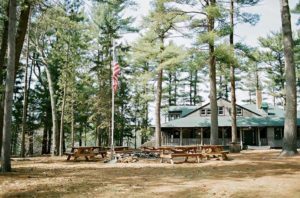 Duties will include raking, moving cots, and sweeping out the cabins. Snacks and refreshments will be provided to all volunteers.